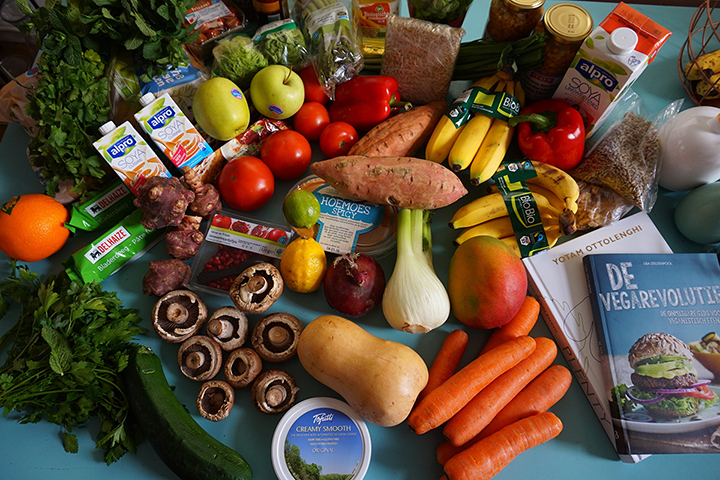 Home / Reflections / Does sustainable food have to be vegetarian? Does sustainable food have to be vegetarian? Recently, the company WeWork made waves by announcing that it would no longer support meat-based meals on its premises. It didn’t ban people from providing meat at their events, so long as they organised it themselves. But anything provided by WeWork would be meat-free (not fish-free, so pescatarian technically) and the reason given for this was to reduce environmental impact. Needless to say, the move provoked a few fist-pumps and raised eyebrows in equal measure. But whether or not you decide you have an opinion about what this company does is irrelevant - as a private company, it can do whatever it wants. The interesting bigger question is this - is their implication - that sustainable food has to be vegetarian - correct? I imagine that, in response to that question, there might be several responses. An ideologue, who wants a meat-free future on the grounds of their values and deeply held moral beliefs, will nod enthusiastically. Of course, any movement that wants to bring about change will often grasp at each and every argument they think might make the case stronger. But let’s put that to one side for now. It may be that the meat-free advocates have history on their side and, at some point in the future, we will look back at the history of meat-eating and shake our heads at the barbarity of it all. It may be. If so, it will be a huge cultural shift from where we came from - eat or be eaten - that has made meat eating ubiquitous to almost every human society on earth. But we are capable of such shifts if we collectively accept that’s where we’re going. It won’t happen overnight. It could happen over the course of a century - or less if there’s some important catalytic event. All very interesting, but for now I just want to focus on the practical and pragmatic question of does sustainable food have to be vegetarian. Another possible response to the question is to study all the foodstuffs which have the lowest environmental footprint, and argue that self-evidently these are the only foods that should be eaten. Now, we know what some of those are. If you only go by impact alone, then it won’t neatly fit anyone’s existing culture or moral code. Wild game would show up as a low impact food, for instance - difficult though it may be to scale. The data shows this equation alone would tip the balance a long way towards a reduced meat diet though. Both of those approaches are logical, but suffer from detachment from another key element - whether you could get the collective human race to embrace the prescription universally on a timescale that meets the urgency of the challenge. And that is where it becomes a more complicated question. What is sustainable food? You can get as poetic about it as you like, going into nurturing, self-sustaining, supporting communities etc etc - but brutally it is only - in the first instance - food that can satisfactorily feed the population indefinitely - so sufficiently nutritious with an aggregate impact within the carrying capacity of the planet (recognising that such capacity is not fixed and can increase or decrease in certain circumstances). I would add that it should be not so close to the failure threshold that whenever there’s a bad year with some unexpected event, then millions of people die. In other words, we don’t want to be pushing that carrying capacity right to the extreme. These two things make it a different conversation. First - we do not know, and the data is not sufficiently reliable to be able to tell - where the threshold is. Do we need to eat only the most efficiently-produced food in order to survive, or do we have some breathing room where people can eat the foods prized by their culture if production of those foods is optimised? The answer may not be a consistent one. Some cultures have higher impact than others. Some impacts can be reduced easier than others. After all, most of these areas when you push them to scale involve trade-offs. Green beans flown from Kenya may have a higher impact, but they provide livelihoods for people helping them to emerge from poverty. On the other sides, the most efficient vegetable producer of edible oil - palm oil - is environmentally controversial because of the impact of poorly managed production leading to deforestation. At some point, you have to recognise that the absolute lowest emission solutions would have lots of negative impacts that we would prefer to avoid - if we could. Simple formulas - whether based on science or ideology - are going to have brutal outcomes for some people at least. And that leads to the challenge of getting people to sign up to it at all. There is no doubt that the human race collectively is more likely to embrace the sustainable food project if it is an evolution - and preferably an evolution with benefits (better flavour, better health) - of their current food traditions. Being a purist standing on the sidelines screaming at the majority about how wrong they are is a fine recreational pursuit if you want to spend your entire life being angry, but as a change strategy it doesn’t have a great history of success. And let’s be honest about this - the sustainable world, if we achieve it - is not going to be the lovely utopia many of us might wish for. It’s not going to be, because it doesn’t need to be, and it can’t be if you accept people they way they are rather than what you want them to be. There will be junk food, there will be industrial scale production, there will be mistakes, and problems. But collectively we will contain all that within the bounds we need to keep to. That is the only vision of sustainability that nobody ever talks about, but is actually the most likely scenario - and probably the only achievable scenario within relatively short timescales. The big challenge to achieving any of this is if this area of food - an area that should be common to all people, whatever their politics, race, or religion - becomes politicised with ‘sustainable food’ being seen as something the political left promotes, and ‘traditional good-old food’ what the political right promotes. And actions like the one undertaken by WeWork - for all that they can do whatever they want on their premises - potentially plays into that dynamic because, for those that don’t look too closely at the fine detail (i.e. most people - especially populist news sources) they are imposing their trendy meat-free agenda on everybody whether they want it or not. And the perception of such a thing, even if it doesn’t match the reality, plays into that whole backlash against the progressive (in its widest sense) agenda. Sustainable food is too important to be allowed to become just another political piece on the chessboard of our modern divided society. We have to support the food traditions of people across the world by looking at how those traditions can reduce their impact. We can encourage rebalancing of diets (reduced meat being an obvious component of that) - but better to do that step by step and with the popularising of aesthetically pleasing alternatives. The point is - if we have a world in a few decades where nobody is allowed to eat meat because of its environmental impact, we will know that we failed. We failed because we would only end up in that position because the planetary consequences of unsustainable lifestyles kicked in and we were forced to go for the minimum impact outcome by necessity. By the time you’re forced into a thing like that, then you’ve probably unleashed unpleasant consequences that are hard to control. The best outcome will be that people are eating the foods that they love, the impact of those foods will be within planetary bounds, and so whatever social or cultural changes might then be taking place can do so on the basis of changing tastes, habits, values or whatever else it might be - rather than by the necessity for survival. Is intensive farming best for the environment? What does sustainability mean for India and Indian Food?